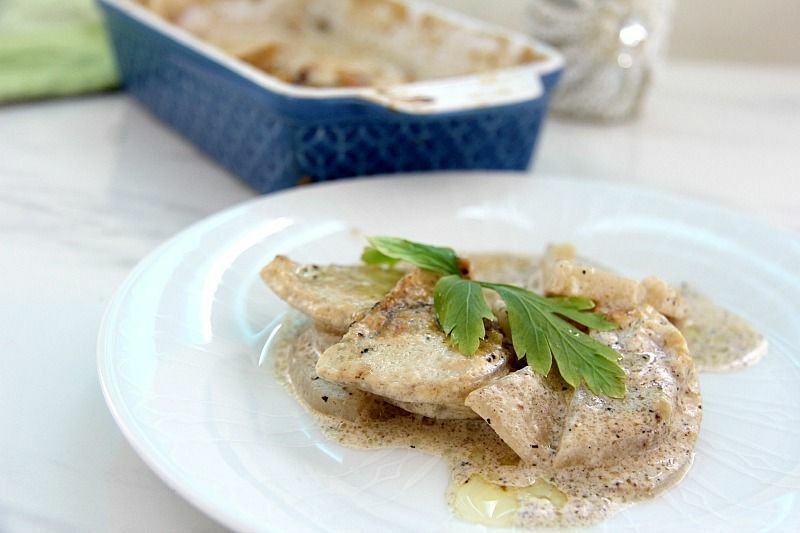 Turnip recipes can be bland but this turnip recipe is a great low carb alternative to potato dauphinoise. 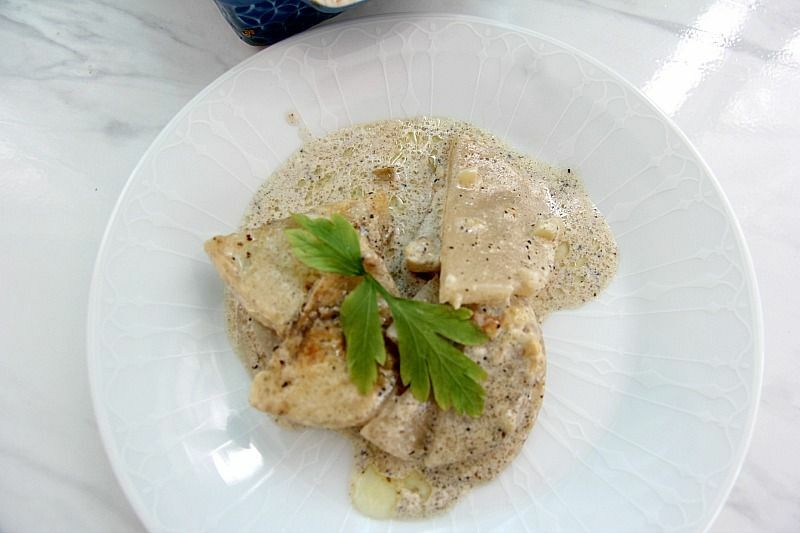 Sliced turnips baked in cream and flavoured with nutmeg is just delicious. 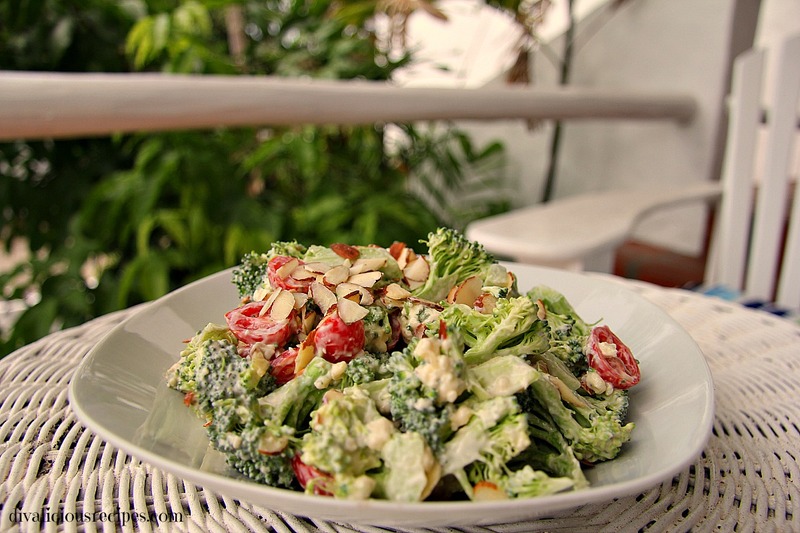 We just love this dish and could eat it everyday. 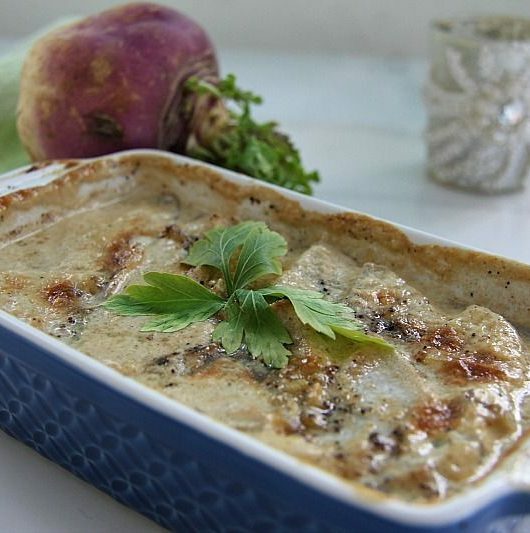 The humble turnip never tasted so good and is a fabulous alternative to potatoes. The nutmeg just makes this dish sing all over my taste buds and the garlic butter on top is an encore that deserves a standing ovation. 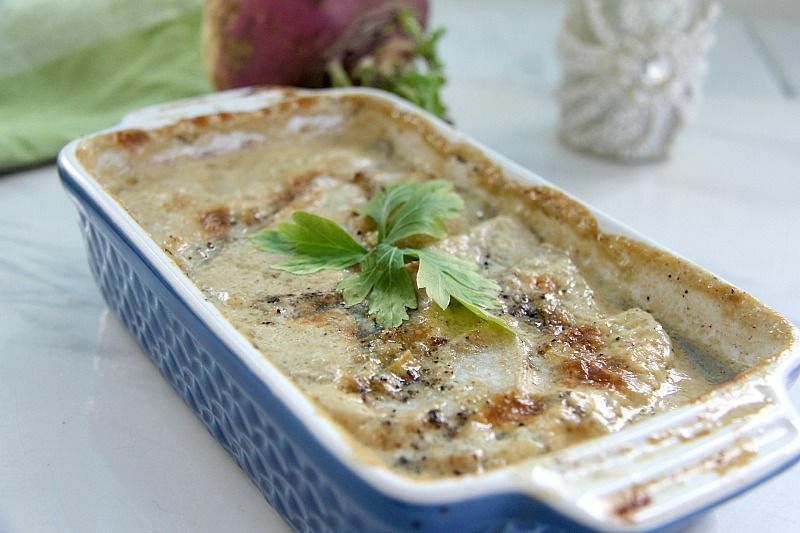 This turnip recipe is lifted with the warm spice of nutmeg. 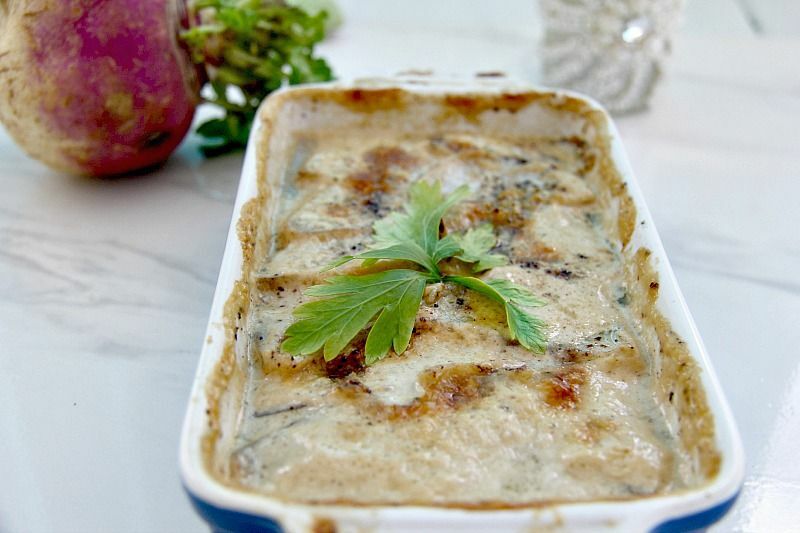 Add cooking thin slices of turnip and cream and you have a delicious side dish. You could add some grated Parmesan to this but first try it without. 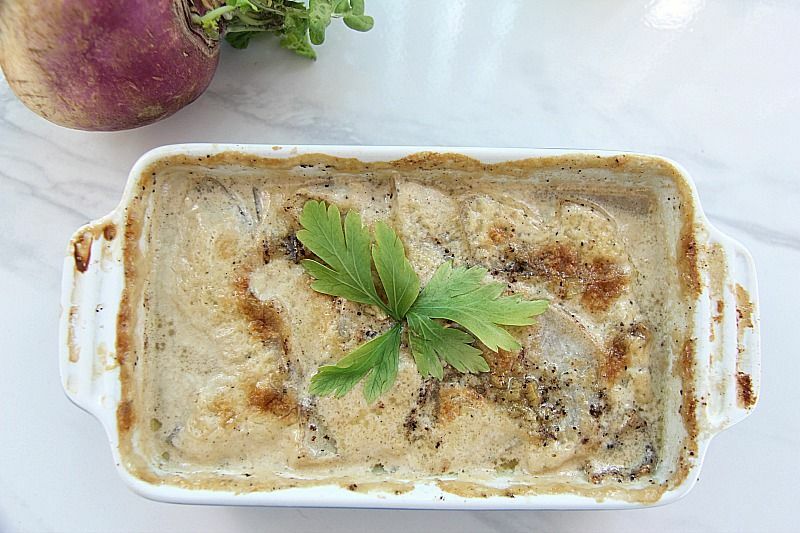 You may be surprised how delicious turnip can be in place of potato. Turnips can often be an overlooked vegetable but are great for low carb cooking when you have a hankering for a potato. The texture is more like a potato, but the taste needs to be seasoned for you to really enjoy this. This is why this dish works so well with the humble turnip. It’s simple but packed full of flavour. Mix the butter with the crushed garlic and use 1/4 of it to grease a shallow casserole dish. Peel the turnips and cut into thin slices. Put into a bowl and season with the salt, pepper and nutmeg. Mix well to ensure that all pieces of turnip are coated with the seasoning. Layer the turnip slices in the casserole dish. Pour the cream and water over the top and dot with the remaining garlic butter. Cover with foil and bake for 1 hour, removing the foil about 20 minutes before the end of the cooking time.